UN experts have warned that mercury has poisoned the entire population of Colombia, a major exporter of gold. With soaring gold prices, more smallscale miners in the country are mining and processing gold using mercury, which is cheaper than safe methods. About 50 to 100 tonnes of mercury is lost annually in the process, contaminating rivers and soils and making the Andean country one of the world’s top mercury polluters, said Marcello Veiga, an adviser to the UN Industrial Development Organization. He recently visited Colombia following reports of mercury poisoning. Veiga said in some municipalities where 90 per cent of the population depends on gold mining, mercury vapour levels in the air are 1,000 times the safe limits of World Health Organization. About 15 kidney transplants are carried out in each municipality every year because of mercury poisoning with several miners suffering memory loss, said Veiga. A court in Botswana rejected a longstanding plea of Bushmen of the Kalahari desert for access to water. The court ruled the Bushmen can neither use the borewell on their traditional land in the Central Kalahari Game Reserve, one of the driest parts of the world, nor drill new ones. The court also barred their relatives living outside from bringing water into the reserve. The government argued the Bushmen’s presence in the reserve is not conducive to preserving wildlife. In 2002, the government evicted the Bushmen from their ancestral land saying they do not have legal titles and capped the only borewell in the region, drilled by diamond mining companies. In 2006, another court ruled the move unconstitutional. Hundreds returned home but were refused access to the well. Apart from the scanty rainfall and melons, the Bushmen have since depended on water brought by their relatives from outside the reserve. 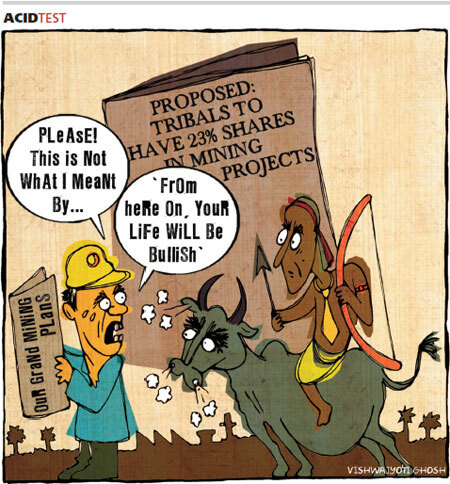 The government, meanwhile, allotted their land to developers for luxury tourist lodges. A major effort to push a climate change bill through US Congress died quietly on July 22, in the face of opposition from both sides of the House. Republicans said the bill would create a national energy tax that would be passed on to consumers, prompt manufacturers to take their factories overseas and put jobs at risk. The ruling Democrats, who are not eager to jeopardise their chances in midterm elections in November, said they would instead focus on legislation aimed at cleaning up the gulf oil spill. Senate majority leader Harry Reid reasoned: “We know we don't have the votes.” Analysts say it is unlikely that the bill would be tabled before next year. Australia’s Prime Minister Julia Gillard also announced her party’s election platform and said her government would act on climate change only when the economy is ready. With slim chances of a timely intergovernmental climate deal, the UN’s climate agency has outlined contingency options. If world leaders fail to agree to a successor to Kyoto protocol, which expires in 2012, the UN plans to extend the protocol to 2013 or 2014. 2010 is on course to become the world’s hottest year since record keeping began in 1880, according to the US National Oceanic and Atmospheric Administration. June 2010 was the fourth consecutive warmest month. Heat waves are searing eastern Europe, parts of Russia, West Asia and Africa, causing drought and crop loss. Moscow has declared a national emergency as Russia faces the worst drought in 130 years. Thousands of people in Papua New Guinea’s Madang Province defied a warning from the attorney general and staged march to protest a controversial environment law passed in May. The attorney general has banned reporting and public discussion of the law. The law dissolves the constitutional rights of all landowners to challenge development projects in court and claim compensation for environmental damages. Communities own over 90 per cent of land in Papua New Guinea. Protesters say the amendment takes away their traditional land rights and would affect livelihood as the government would arbitrarily clear all development and mining projects. They plan to take the government to court. The US Food and Drug Administration (FDA) recently raised questions about the safety of diabetes drug Avandia for a second time, but remained silent on whether to pull it off the market. FDA’s scientific panel reviewed the latest scientific studies on the safety and efficacy of the type 2 diabetes drug and said “there are significant safety concerns” that Avandia raises the risk of heart attack and chest pain. It also said the risk is higher than its rival drugs. It asked the pharma company, GlaxoSmithKline, to continue the post-marketing clinical trial of the drug with only the caution that no new patients should be enrolled into it. In 2007, when research showed Avandia increases the risk of heart attack, the FDA put a warning on it. The European Commission approved changes to the laws regulating genetically modified (GM) food and organisms. The amendments would keep the current authorisation system for GM at EU-level, but would give member states the right to ban GM cultivation at a national level. Green groups have hailed the move saying it brings greater democratic control of GM cultivation. Once countries can decide for themselves whether or not to grow transgenics, it will help make national politicians directly accountable for those decisions, they said. The flip side is, in countries with weak or no laws, seed and feed contaminated with GMOs will be able to spread more easily. As freshwater supplies get strained, a water supply management company in the US, S2C Global Systems, is gearing up to tap the future market. It recently signed an agreement with an Alaskan town, Sitka, buying water rights from the Blue Lake at US 3 cents per 10 litres. The company plans to ship up to 34 billions of litres of water annually from Alaska to Asia using tankers with ozonating system to keep the water fresh and clean. The company has identified Saudi Arabia, Iraq, Cyprus and India as potential markets and is already building its first water hub near Mumbai. Though shipping water from Alaska is expensive, the company says as water supplies grow scarce, the margins for bulk water exports would improve. 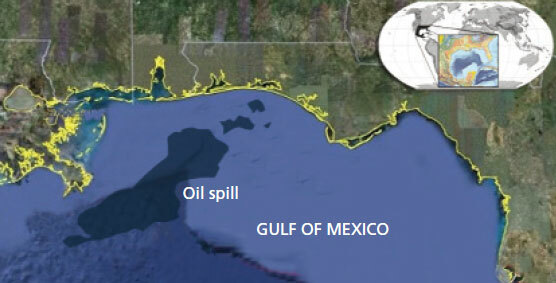 The US National Oceanic and Atmospheric Administration recently found that air quality in the Gulf oil spill area is deteriorating. Common air pollutants, such as ozone, nitrogen oxides and carbon monoxide, are in amounts typical of polluted US cities, while concentrations of certain hydrocarbons—known carcinogens—are much higher than the urban air. Particulate matters are in the levels comparable to moderately-polluted urban air, but they are almost entirely organic material, which are toxic.